There’s a turtle named Jaws and a dinosaur canary, an alien playing Spaceball and a no-show tooth fairy. A buffalo’s in the library chomping on the books, and a princess has karate skills that rival her good looks. These characters and many more are found in this rambunctious and irresistible collection of poems that look at our world through a child’s wide eyes . 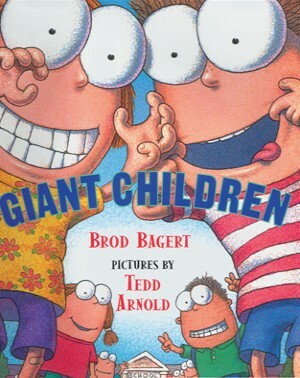 Giant Children is full to bursting with inspiration, playfulness, and above all, giggles.